General Hospital (GH) spoilers tease that Valentin (James Patrick Stuart) will get a puzzling phone call. GH buzz is that there’s a good chance this is tied to the double Jason (Billy Miller) saga. If it’s perplexing, it’s usually connected to that storyline! GH just keeps piling on mystery after mystery. However, Valentin’s potential involvement is still baffling. 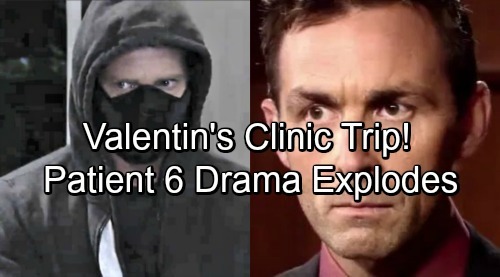 General Hospital spoilers state that Valentin will be pulled into the clinic drama in a surprising way. After Valentin receives that weird phone call, he’ll realize there’s a threat that needs to be taken care of. Valentin will feel like his future depends on it. There’s been a lot of talk about Valentin’s past lately. Lulu (Emme Rylan) warned that Valentin would get what he has coming eventually. She feels certain that Charlotte (Scarlett Fernandez) will see Valentin for who he really is someday. It sounds like that day could come sooner than Valentin thinks. Lulu’s statement was quite ominous and now Valentin is headed back into shady territory. It’s clear that there’ll be some serious risks. Will Valentin be called in to handle the Patient Six situation? Will Ava learn even more about this guy and put her own safety at risk? All of that seems likely. Of course, Valentin may have to deal with Griffin (Matt Cohen) problems as well. Griffin cares about Ava and he won’t let Valentin tighten his grip. General Hospital spoilers reveal that Valentin will take a fateful trip on October 6. It appears St. Petersburg could get a visit from the sly Cassadine. Nina (Michelle Stafford) will have some concerns, but she’ll try to put them aside. She knows how Valentin operates and she’s accepted it. 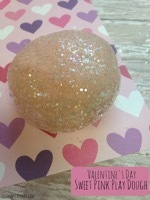 Nevertheless, Valentin shouldn’t get a free pass to cause death and destruction. If he crosses the line, he could lose everything he holds dear. General Hospital spoilers hint that Valentin could pay a steep price for some dark secrets. Will Valentin’s ties to Patient Six cost him big time? Will we see a fierce faceoff between Valentin and the man he possibly targeted? What’s Valentin’s motive in all of this? We’ll give you updates as other GH news comes in. Stay tuned to the ABC soap and don’t forget to check CDL often for the latest General Hospital spoilers, updates and news.